I mostly see House Sparrows and Black-billed Magpies in residential southwest Calgary but occasionally I will hear and see the smaller Chipping Sparrows. 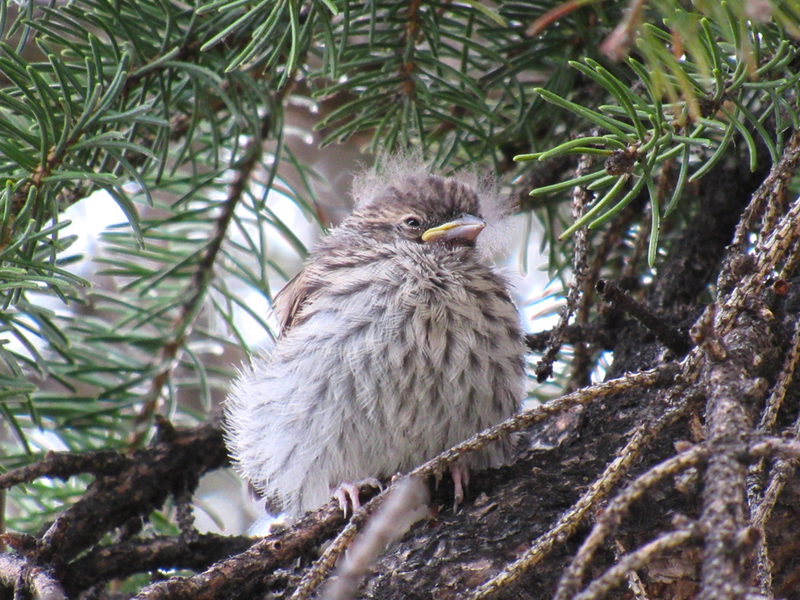 This young Chipping Sparrow (Spizella passerina) stayed behind when his parent flew away. I like his little head tufts. He’s so fluffy that he looked a bit bigger than his parent :-). I am glad he picked a little spot in the tree with a clear view :-).